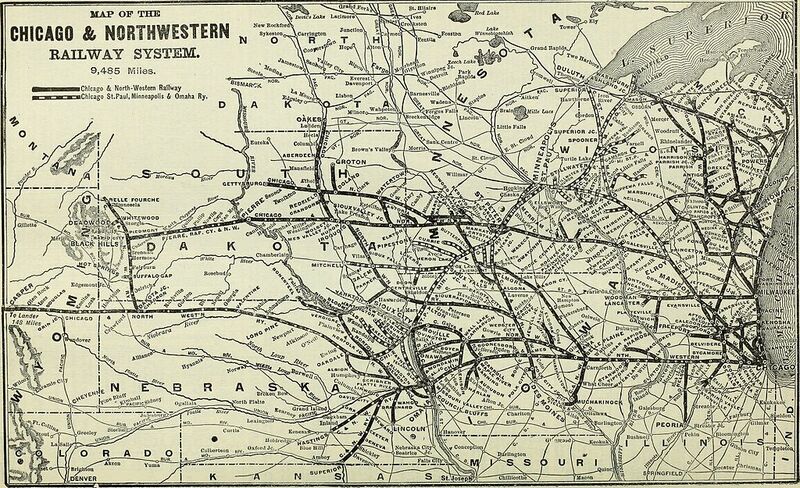 In the second half of the nineteenth century, railroads remade the geography of the Midwest. 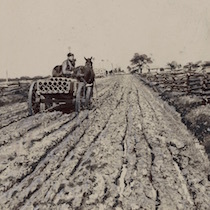 In an era when roads were often muddy filled with holes, the railroad made it faster to travel from Superior to Milwaukee by rail than from Superior to Ashland by wagon. In Wisconsin, the Chicago and Northwestern, The Milwaukee Road, and the Soo Line were the major railroads. 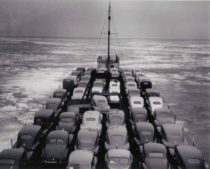 They crossed the state and connected the produce of farmers and miners and lumberyards to port cities on the Great Lakes, the barges on the Mississippi, and most importantly, to the commercial markets in Chicago. The Soo Line Engine #1003 represents that history. 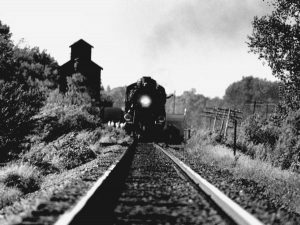 One of the major routes that served Wisconsin during the steam era pulling freight and passenger trains was the Minneapolis, St. Paul, and Sault Ste. Marie line. This line came to be known as the Soo Line Railroad, after the endpoint in Sault St. Marie (pronounced Soo Saint Marie). Stretching from North Dakota to the Upper Peninsula of Michigan, the Soo Line has a large amount of track connecting cities and ports across northern Wisconsin. 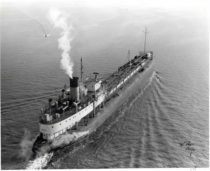 Before the Soo Line, grain merchants across the midwest had few options other than sending their goods lines operating out of Chicago or Duluth-Superior. Image courtesy of wikimedia commons. Before the Soo Line, if you were a grain merchant in the upper Midwest or plains states, you could either send your grain to eastern markets by the railroad monopolies operating out of Chicago, or by railroad and steamship lines controlled by James J. Hill and based in Duluth-Superior. The Soo Line was initiated by Minneapolis-based grain mills that wanted access to eastern markets without being forced to ship their grain through Superior or Chicago. 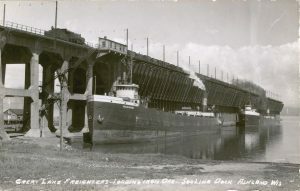 In the 1880s, the Soo line traced a line through the Northwoods, carrying grain from the upper Midwest and lumber products from Wisconsin to the docks at Sault St. Marie. 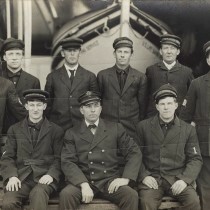 By 1911, the Soo line had spurs that linked to the ship yards in Superior and ore docks in Ashland, and connections south to the Milwaukee Road and Chicago. Today, the Soo Line is a subsidiary railroad of Canadian Pacific. Soo Line #1003 is a 2-8-2 Mikado engine built in March of 1913 by the American Locomotive Company in Schenectady, New York. The name Mikado comes from the Emperor of Japan at the time. Soo Line #1003 is one of ten Mikados, numbering from 1001-1010, built for the Soo Line Railroad, to haul freight trains. The locomotive cost $25,654.63 back in 1913. She measures 82 feet and 6 inches long, has 63” driving wheels in the front, her total weight is 246.5 tons. She carries 17 1/2 tons of coal and 5 tons of water in her tender. The interior of Soo Line #1003. Image courtesy of Flickr. Soo Line #1003 worked on the Soo Line hauling freight until 1954 when she was taken out of operation and placed as a standby engine at the Gladstone, Michigan roundhouse. Soo Line #1003 officially retired in 1959. In 1961, the Soo Line transitioned to a freight line, and no longer carried passengers trains. 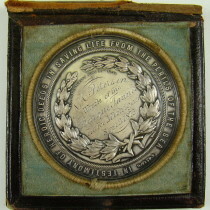 #1003 was donated to the city of Superior to commemorate the city’s connection to the Soo Line and great lakes shipping. After all, the twin ports of Duluth and Superior had been one of the reasons for the creation of the Soo Line. 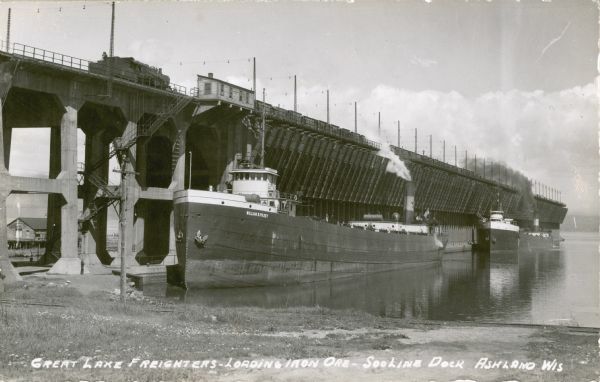 A Soo Line train loading iron ore onto Great Lakes freighters at the ore docks in Ashland, WI. Image courtesy of the Wisconsin Historical Society, image ID 131297. 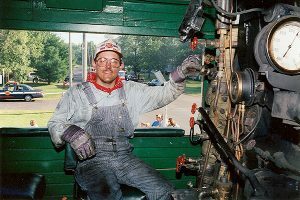 The engine sat in a park in Superior until the 1990’s when 1003 Operations LLP bought it from the City of Superior and began restoration. The #1003 returned to operation in 1996 making runs to Minnesota. Today, the engine is owned, operated, and maintained by the Steam Locomotive Heritage Association. Currently on display at the Wisconsin Automotive Museum at Hartford, Wisconsin, Soo Line #1003 can be seen operating photo charters and trips with Santa Claus. An engine on the Soo Line in Dodge County in 1988. Image courtesy of the Wisconsin Historical Society, image ID 93011. Ever wondered what it looks and sounds like to drive a train? Watch this Soo Line cross the Mississippi River and find out! 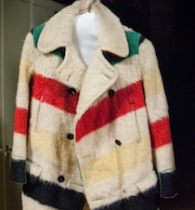 Object history created April, 2019.